A Lancashire school which uses alternative education methods is bidding for state funding under the government's new Free Schools scheme. 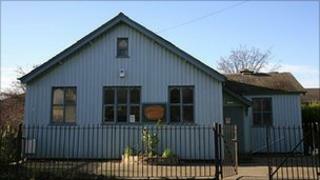 Lancaster Steiner School could become state funded as early as September 2011. Steiner schools are based on the philosophy of Rudolph Steiner, who founded his first school in Germany in 1919. Only one UK Steiner school has state funding but more are seeking it. A school spokesperson said, "If awarded free school status, Lancaster Steiner School plans to extend the range of education it can provide to include children aged 14 to 16 studying for their GCSEs." The school is also looking for larger premises to cope with the larger numbers that free school status would bring. An Ofsted report earlier this year said the school "provided a good quality of education for its pupils". Steiner schools are based on the philosophy of Rudolph Steiner, who founded his first school in Germany in 1919. There are now nearly 900 around the world and form part of the state system in some other European countries. The schools say they offer a holistic approach to education with a greater emphasis on a child's creativity as well as their emotional, academic, physical and spiritual needs. Children do not begin literacy and numeracy lessons until they are seven years old. They also experience an unconventional education in which hands-on learning through activities such as gardening sits alongside classroom lessons. They do not have head teachers but a "college" of staff, working in a less hierarchical system. Lancaster Steiner School, Waldorf Education, School in Lancaster, North West, England.